We often find ourselves lying awake in bed not being able to fall asleep, and unfortunately, this phenomenon only gets worse as we age. We all need sleep in order to maintain healthy brain function and support physical health, and this is mainly achieved by reaching deep sleep. However, more seniors are seeing their sleep habits shift, losing their ability to get deep, restorative rest. According to a new study, this holds true, and it is having a negative effect on the health of our older demographic. No one is more concerned about this trend in the elderly than Bryce Mander, a sleep researcher at the University of California, Berkeley. He is worried that the lack of quality sleep may come with health concerns down the line that could otherwise be prevented. He goes on to describe “sleep fragmentation” and how it has been linked to a multitude of medical conditions, including depression and dementia. Fragmented sleep results in a sleep cycle that differs from sleep onset insomnia—fragmented sleepers can generally get to sleep pretty quickly after going to bed. However, they have low sleep latency and a hard time staying asleep, while also suffering from prolonged nocturnal awakenings. This is thought to be due to short durations of slow wave sleep, often leaving the individual unrefreshed upon awakening. Fragmented sleep also results in less total time spent asleep than normal. It is important to note that it is normal to experience nocturnal awakenings, and it is estimated that a third of the adult population experience it, but they tend to last less than a minute and are considered perfectly normal. This differs greatly from fragmented sleep awakenings. Mander acknowledges that certain medical conditions and treatments can cause fragmented sleep patterns, but goes on to say that poor sleep in itself can contribute to the disease. “Take dementia, for example. Research suggests there is a “bi-directional” link between sleep disruptions and the dementia process,” said Joe Winer, another Berkeley researcher who worked on the review. He went on to say that dementia often causes sleep problems, and sleep problems may contribute speeding the decline of memory and other mental skills. 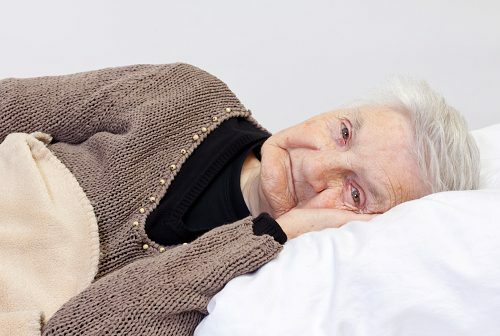 Prior research in animal studies shows that deep sleep helps “clear” the brain of amyloid-beta protein that builds up in an individual with dementia, which is thought to be a major contributor to the disorder. The researchers would like to stress, however, that their intention is not to make you panic if you happen to be sleeping a little less than you used to. Instead, Mander and his team of researchers express the importance of sleep for good health, right along with exercise and a healthy diet. Sleep experts suggest making an adjustment to improve sleep, like ensuring the bedroom temperature is comfortable and limiting exposure to bright lights. They also say you should be getting enough daylight in the mornings and afternoons, as it help keeps the body’s circadian rhythms (sleep-wake cycle) on track.